A new version of the SharePoint Information Organizer (v2.2) has been released recently with additional features. The additional capabilities that enhance the potential of this product are shown below. 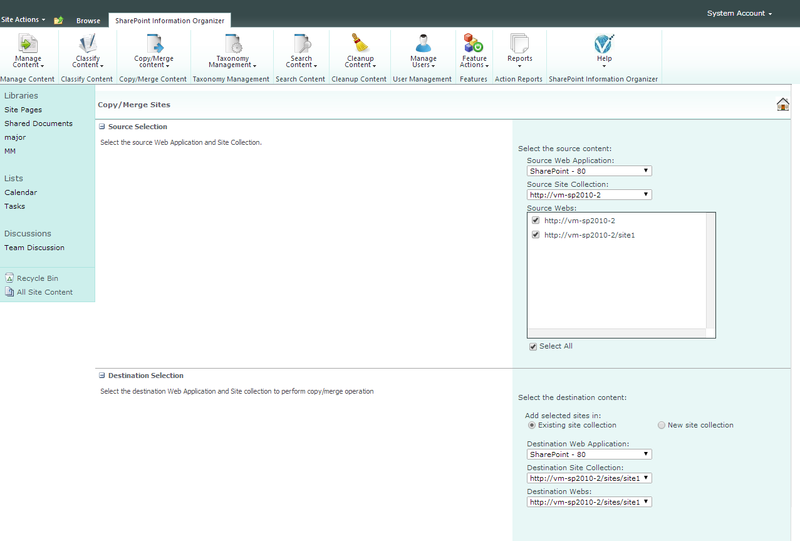 The Copy/Merge Sites feature helps the Administrators to manage the Site Collections more efficiently. The Administrators can find which Site occupies more storage space in content databases and it also allows the Administrators to balance the load of the Content databases accordingly, by copying preferred Sites to a different Site Collection. This also helps in bringing the most used Sites together under a common Site Collection which can then be used by all concerned users. It’s aimed at improving the efficiency of SharePoint. Along with Sites, permissions and List views can also be copied. Before copying the selected Sites, filter queries can be used to filter the selected Sites, its Lists and List Items. This is shown below. SharePoint Administrators can manage their Term Stores effectively using this feature. Term Store Manager includes creation, deletion, edit, export/import and copy/move operation on Term Store objects like Groups, Term Sets and Terms. 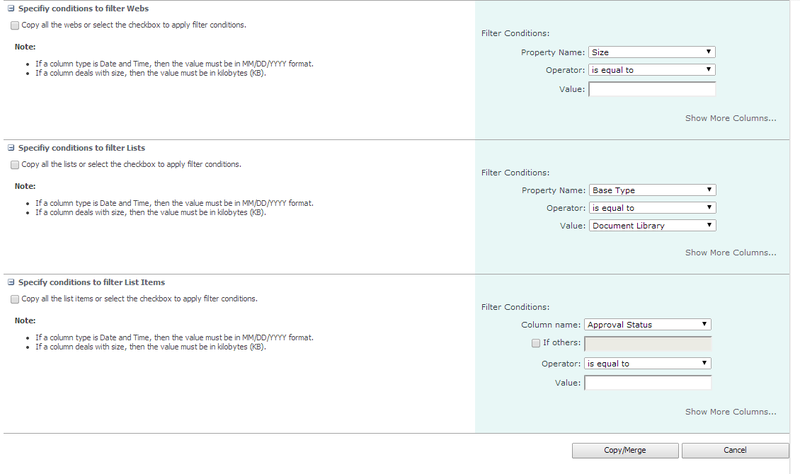 This feature is very handy for SharePoint Administrators and Site Owners for creating Lists and Libraries in SharePoint. 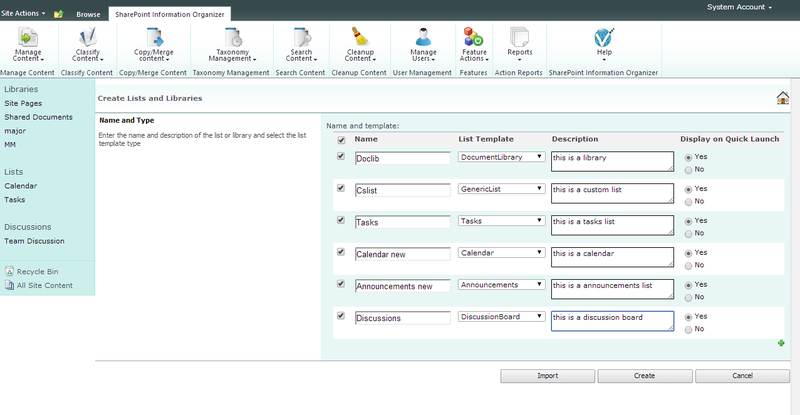 Multiple Lists and Libraries can be created in a single click. Additional Field Types have been included in Column Creation feature in this version providing administrators with a higher number of options to choose from.